We thank those of you who visited our table, bought plants and saved lots of butterflies. MMP members Denny Melle and Patt Healy outside the Cafecito Organico, Pt. 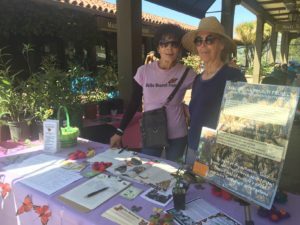 Dume Plaza, Saturday, September 17, selling pesticide-free milkweed and a variety of nectar plants.